A relatively quiet race has helped mask the stark differences between Democrat Paul Sadler and Republican Ted Cruz in the race to replace retiring U.S. Sen. Kay Bailey Hutchison. Republicans continue to dominate politics across the state. The party’s fundraising outpaces its rivals', and a strong anti-Washington sentiment has resonated with voters for years. All of that, analysts say, is working against Democratic Senate hopeful Paul Sadler. But on the campaign trail, Sadler doesn’t focus on his odds of winning but rather on pointing out the stark differences between him and his Republican opponent, Ted Cruz — starting with federal health care reform. Cruz says his first action as senator would be to “repeal every syllable of every word of Obamacare.” Cruz doesn’t have a replacement plan ready to go, but he says any health care reform should expand competition and get federal bureaucrats out of the way. That includes, he says, getting rid of federal mandates in health insurance policies. Any changes to federal health care reform — especially if there is a split in party control of the U.S. House, Senate and presidency — will require negotiations and compromise, something Sadler says he got plenty of practice at during his 12 years as a state representative. 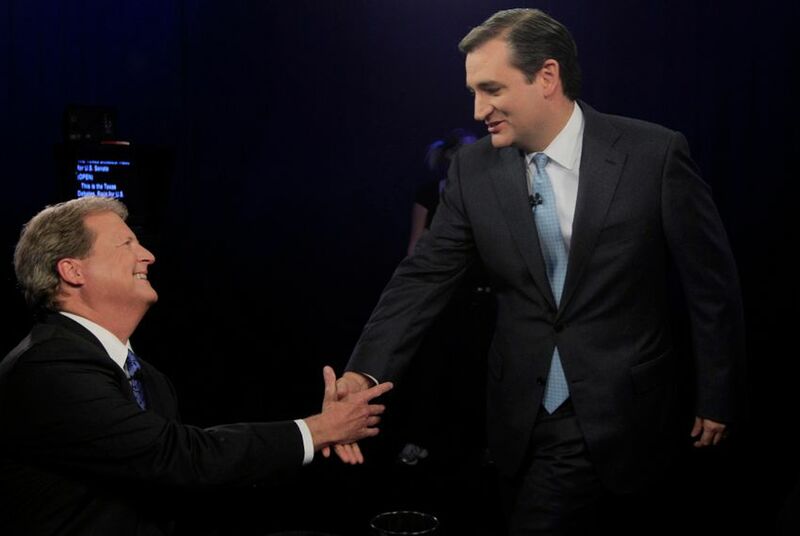 Cruz says he’ll work with anyone, even Democrats, to solve the country’s problems. But there are some compromises he just won’t make, including his stance that the scope of the federal government should focus on its constitutional responsibilities like protecting the border and helping to build interstate infrastructure.